It looked like a party happened at DWTS last night and they had a great time. It’s season 19 of Dancing with the Stars, the show started in the Summer of 2005 for six weeks and then it got picked up for a reality dance competition. This year for the fall of 2014, they have new contestants and new professional dancers. Let’s see who had a great ball. Sadie Robertson and Mark Ballas dance the Cha Cha. Sadie is the daughter of Duck Dynasty. Mark has two Mirror Ball Trophies. She’s not allowed to dance at school because she has no dance experience, but she blossom into a beautiful dancer when she paired with Mark Ballas. She was fantastic. With training, she can dance. With all the duck jokes from the judges, “Quack, quack she will be back” Len said. Bethany Mota and Derek Hough did the Jive and she was fantastic too. Bethany Mota is known for video blogging on YouTube and becoming successfully in how to videos and being creative. Her dance was cute, bubbly and enthusiasm from her. She will stay! Alfonso Riberio and Whitney Carson did the Jive. He used to be a dancer and he love it. Did I see he did the Carlton dance in the Jive, if he did it was absolutely great. He can dance and he had the musicality in him. Remember he’s a song and dance man. He belongs in a musical theater. The choreography was by Whitney Carson and she did a fantastic dance routine for him. Antonio Sabato, Jr. and Cheryl Burke they did the Cha Cha. Tavis Smiley and Sharna Burgess they did the Foxtrot. I hope you voted for your favorite. Remember vote for them and keep them in running for a winner for DWTS in November 2014. These are my favorite shows to watch, the variety of talent shows on TV, seeing unknown people making it big and becoming a celebrity. To become one, one must work hard and become successful. Never let people bring you down, stay with positive people. The key for being successful is work hard, a dedication of commitment that you want to do. Surpass what the bullies told you that you will never make it, or the boyfriend/girlfriend did not get from you and now they want you back. Don’t! Stay in the present and move forward with your life. Become like Taylor Swift, use your past experiences and turn them into stories or songs, get it out from your chest, the burden and the pain. The real friends are your talent. Become what you want to do. Here are the winners for this week. For Dancing with the Stars was Meryl Davis and Maksim Chmerkovskiy. Meryl Davis also won the Gold during the winter Olympics in Sochi, with her partner Charlie White. 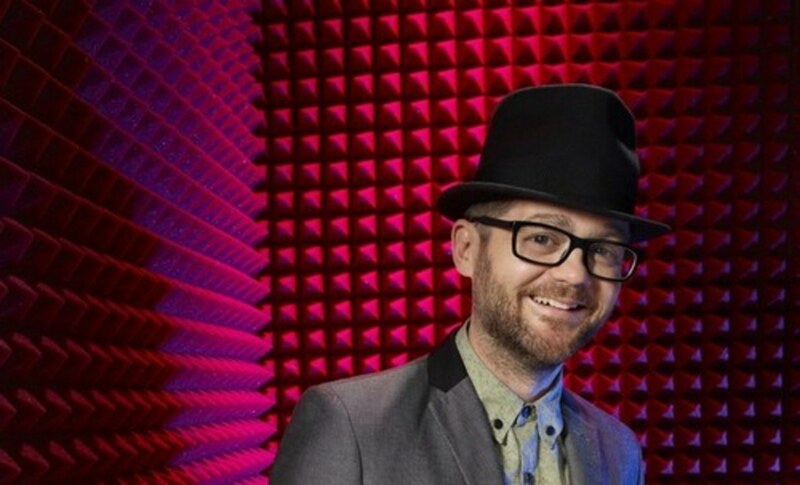 For The Voice was Josh Kaufman, he’s a R&B singer and from Team Usher. 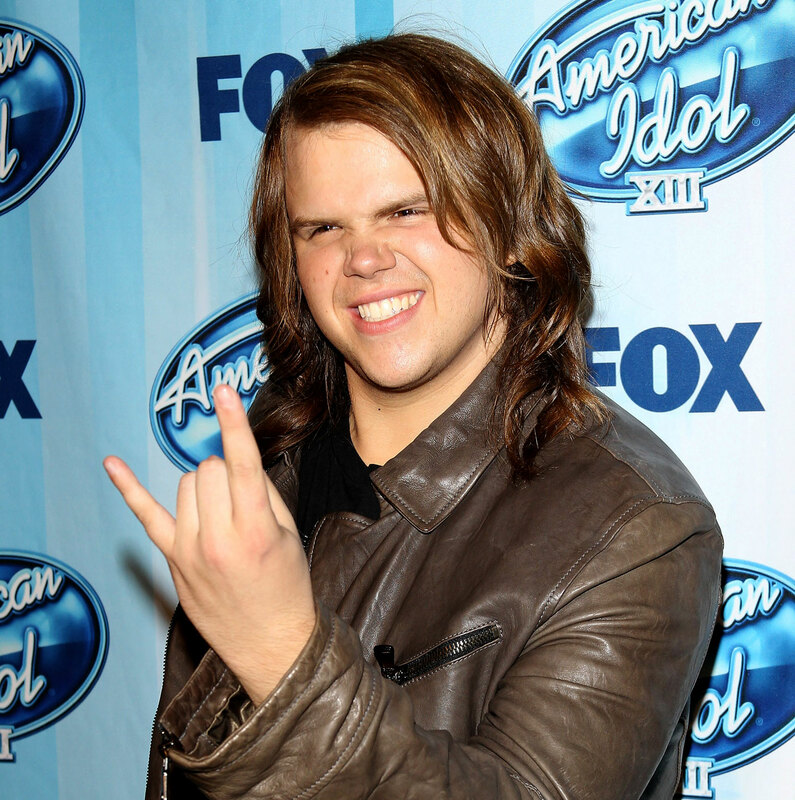 For American Idol was Caleb Johnson from Asheville, NC. Another Carolina had won before too, which was good. This is the original show that started the reality talent shows and discovered new stars, a pioneer produced by Simon Cowell, in which the X-factor was cancelled due to low ratings, who won last time and record sales of the albums. This talent shows the struggle and the transformation of being a celebrity and the sacrifice they become one. I wish I can be one of them. Kellie Pickler and Derek Hough won Dancing with The Stars. “Oh my God! This is amazing! Oh my God!” a surprised-looking Pickler said after hugging her pro partner, Derek Hough. Derek won four times and every time he competes, he always has a gorgeous woman to dance with and when they dance his points with the judges are always between 8 and 10. I know it is a competitive sport and Derek likes to compete, which is good and he’s an excellent choreographer, they are other dancers who will love to have the Mirror Ball. What do second and third contestants get when they reached this milestone of achievement? They should get some good prizes on the show. “I’m very proud. I’m very happy and I get to leave here with an amazing experience, so I’m very happy,” she said. Len Goodman praises her for being competitive dancer and she will be star soon. But does he knows, Zendaya is on the hit Disney Show called “Shake it up Chicago” on the show she’s a hip hop dancer. Now she gained new ballroom dance moves. Would she bring ballroom dance to “Shake it up Chicago” or will her dance partner come on the show? Like a crossover for “Dancing With The Stars”. I wanted her to win. Another stronger performer was Olympic gymnast Aly Raisman was eliminated in the first hour of the results show, ending the competition in fourth place. “This has been the best experience of my life. Thank you, ‘Dancing With the Stars.’ It’s been so amazing,” Aly Raisman said. Raisman turned in physically demanding routines that capitalized on her gymnastic skills, but judges also said she’d shown remarkable development of her dance abilities. I wanted her to win. As soon Metta World Peace and Peta Murgatroyd danced, we all know that he was going home. His dancing did not show any potential, either that his name rhyme with his dance partner Peta. He should have kept his original name –Ron Artest or Pedro. The night was full of surprises. Nancy’s grace did a tremendous job; she was having fun on the dance floor. She was light on her feet and the outfit.Nancy was wearing sparkle on her dress. She was close to be eliminated, but she was safe. George Clooney’s ex-girlfriend Elisabetta Canalis was safe. However, her performance wasn’t that great enough. Probably, the men voted for her to keep her in the running. Carson Kressley was enjoying watching and the perfect song. His dance partner Anna Trebunskaya was fantastic together. If she can keep up withCarson, they would be great. Chynna Phillips and J.R. Martinez shared the top spot for their respective waltzes. The dance seems like a bigger challenge for the ladies, so they both did good. Just shy of the leaders, and also rocking the Viennese Waltz, are Hope Solo and Ricki Lake, who did great the other night. Kristin Cavallari did a great Cha Cha Cha of the night. The surprising of the night were David Arquette and Chaz Bono. Chaz was an incredible dancer and he was light on his feet too. Please make sure to vote for Chaz Bono and make the haters jealous of him. Chaz can dance. Courtney Cox was there to support him. Rob Kardashian did great too. His dancing ability was good and his name too. Would Chole Kardashian be banned from the show even though she yelled at the judges in defense of her brother? Probably not. Tom Bergeron was shocked to see them dancing on the desk and it’s a rental! Dancing with The Stars: Chaz Bono is Dancing? 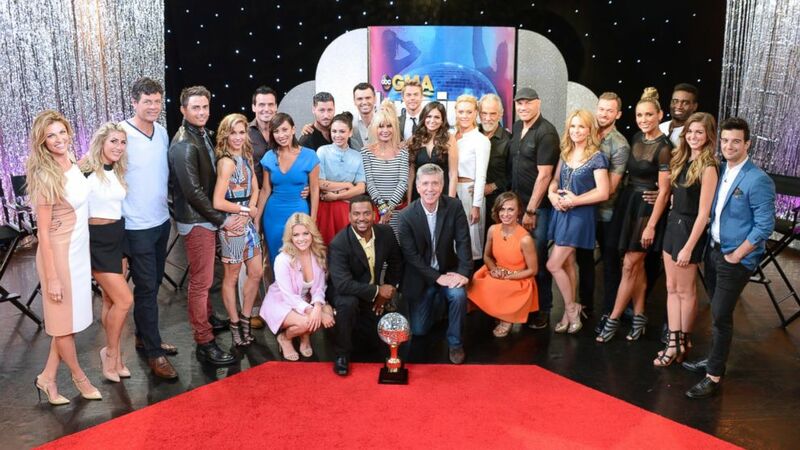 Are you ready for the new season premier of ‘Dancing with The Stars’? Well get on your dancing shoes and wear that gorgeous gown that you were putting it off during the summer months. They have announced the new cast of Dancing with The Stars, and it is not what we have expected to be. All my favorite’s dancers are back. Derek Hough took a leave of absent from last year to do something, maybe some rest and recreation or work on a project. He’s dancing withRickiLake. Even so, can she last longer than Chaz Bono? However, his sister Julianne Hough is doing a revamp of the movie “Footloose,” but will it have the original songs in 1980’s be in the movie or some new bands and singer whom we never heard of. “Footloose” will be premiering in October 2011. A controversy cast is Chaz Bono, who is joining the show. I don’t know what’s the fuss is all about. Since he was a woman before, and he’s a guy now and being paired with Lacey Schwimmer. So why not? Let him show us that he can dance. He’s a contestant on the show. What could be possible go wrong? He’s a bit obese, but he could be slim down – with dancing. Also joining the show is Nancy Grace the attorney will make her dancing debut, if she did not make it through the first round of judging. She can even sue the judges. Who’s your favorite to win? Dancing with The Stars season 13 will premier on September 19, 2011 on ABC at 8pm. So please either DVR, TiVo or tape it on your VCR. Don’t forget it. We have a winner for “Dancing With the Stars”, Hines Ward and Kym Johnson wins the Mirror Ball! I hope the show gets’s an Emmy too, with their elaborate and spectacular production; it deserves an Emmy for their technical areas and the camera crew dancing around the dancers. It was magnificent to watch. Glee was on! I am taping it. I don’t have a DVR. I need one. Mike Catherwood, Psycho Mike, was a little bit psycho when he auditioned for DWTS troupe members, he wore an outfit of a tie-dye unitard, pink leg warmers and a red headband. He did a weird number, and he got picked to do a dance with his partner Lacey Schwimmer to the song of EMF’s “Unbelievable” and it was unbelievable. Wendy Williams was great in the beginning, but when she releases her energy to the dance floor all her waggling, wobbling and wooing did not show, but her body shook in all directions. She’s not a dancer, people who are tall and have big bodies can’t dance. However, she lost a couple of pounds. I can’t see it. It must be the waving in her body. She interviewed herself on the show, and it was hilarious to watch “Hi you doing?” Not doing enough. Super model and all-around beautiful soul Petra Nemcova reenacted her ethereal Week 3 waltz to Josh Groban’s “You Raise Me Up” with pro partner Dmitry Chaplin. “Girl Next Door” Kendra Wilkinson came outfitted in canary yellow fringe surrounded by a coterie of dancing men for an enhanced version of her “La Vida Loca” routine with Louis Van Amstel. She was shaking it all over. Chris Jericho and Sugar Ray Leonard reprised their routines with Cheryl Burke and Anna Trebunskaya, respectively, with Michael Buffer making a return appearance and delivering his famous “Let’s Get Ready to Rumble!” love his voice. He should do voice over instead of doing wrestling announcer. Chris came back to debut another one of his spot-on imitations, this time of Bruno, “rubbing his chest for no apparent reason.” Hey, it got a perfect score from Carrie Ann. “I got a 10!” Chris exclaimed. It was all about redemption in the ballroom Tuesday night. The Macy’s Stars of Dance was an upbeat number, where the Go-Gos got together. Belinda Carlisle was the best. They sang“We Got the Beat” featuring Cheryl, Lacey and Chelsie in their 1980s best and Maks playing the stripping dancer cop delivered straight from our collective fantasies. Maks is definitely a manly eyeful, but between the all-girl band and the strength of these dancing females, I’ve got to hand it to the girls in this one. Did you catch that Bruno had on Maks’ cop hat in the end? Did he go back when he was a dancer long time ago? Probably reminiscing. Ralph Macchio and Karina Smirnoff did their crowd-pleasing prohibition-era jive, with the trumpet player looking admiringly on. He said in an interview that if he was selected to go to the finals, he would put some karate moves that he did when he was in the movie “Karate Kid”. Better next time. Romeo danced for the kids. He and pro partner Chelsie Hightower performed a quite moving and effective waltz? to Whitney Houston’s kids’ anthem, “Greatest Love of All.” Romeo was dapper, and quite impressive with the lifts. Chelsie’s flowy skirt was mesmerizing. It got me. I love her dress. And there was a children’s choir.! Sarah Palin? Her daughterBristolwasn’t dancing in the show. Did she get into the wrong show? American Idol was on, she could have gone to that show. Chelsea Kane was the little miss dynamite and her dance partner got third place. I wanted her to win, but Kristie Alley got second place. However Hines won anyway. Or is it my Ketchup?